A Philadelphia premiere nearly 50 years in the making! 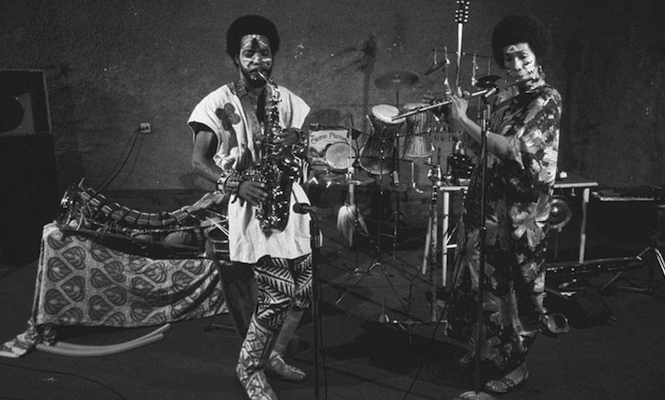 Chicago-based alto saxophonist co-founded The Pyramids in 1972 while a student at Antioch college, where his teachers included iconic pianist Cecil Taylor. A study abroad program took Ackamoor to Europe and Africa, culminating in a musical and spiritual journey into northern Ghana, where he captured field recordings of the Frafra people of Bolgatanga and the Islam-influenced Dagomba in Tamale. The influence of those sounds with Ackamoor’s spiritual seeking resulted in The Pyramids, which has been revived in several incarnations over the ensuing decades. The latest sextet recently released the acclaimed new album An Angel Fell (Strut), which evokes such forebears as Sun Ra, Pharoah Sanders and Fela Kuti.